A quick sketch; colored pencils on black construction paper. 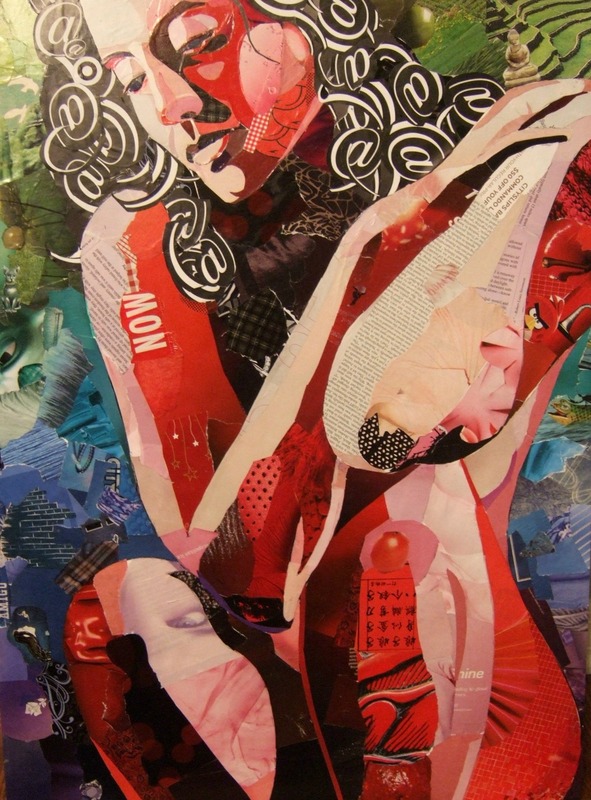 This is a collage I made from magazines. Took a couple of weeks. 20 x 28 inches.